How is it already November?? 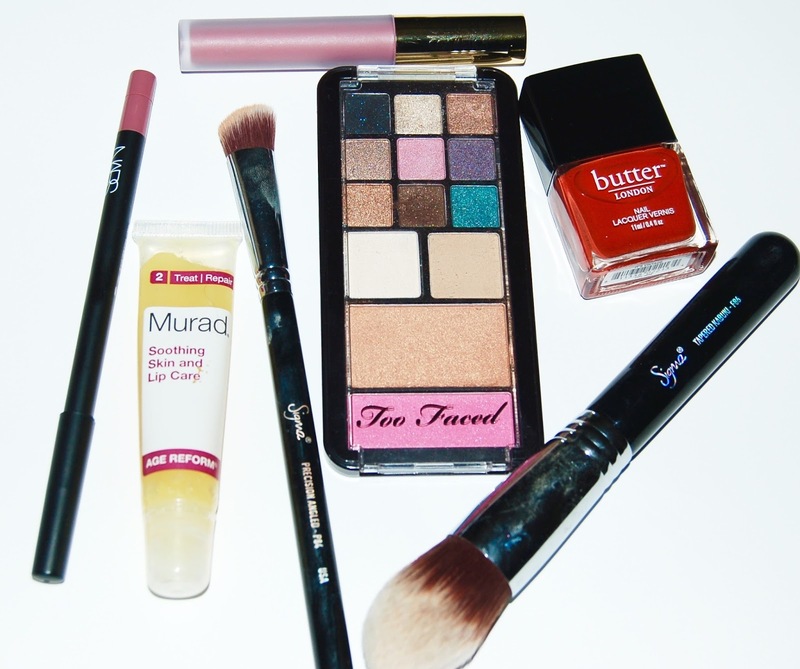 Here are the beauty products I was loving in the month of October! I kept this palette in my desk at work and it was perfect for a quick touch up if I had plans after work. 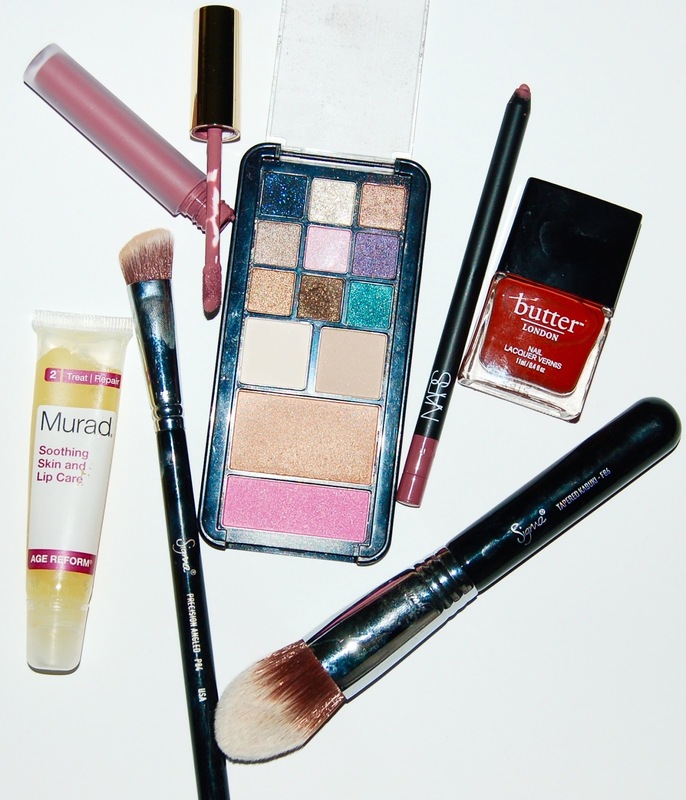 It has great shadow shades that I could use as liners as well. I also love that it has a bronzer and blush too. Unfortunately this was from a holiday collection 2 years ago and I don't see anything like it right now to link for you guys. This is my holy grail brush for patting in concealer under my eyes. Although it seems large, it's the perfect size to pat concealer in quickly. I truly can't use anything else, in fact I own 2 of these because I simply can't go without when one gets dirty! I also use this brush for under eye concealer. I use this to blend concealer in the area RIGHT under my lashes. This will blend out any streaks or lines left by the larger F86 brush. I've had this for a while and I can't believe it took me so long to try it! It's hands down the best lip balm I've tried. I slather it on my lips at night and my lips are super soft in the morning. It's nice and thick and doesn't disappear by morning. This nail polish is the perfect fall color! It's a rusty orange shade that's unlike any other shade I own. Click the link to see it on my nails. This is a gorgeous lip liner color! It's a lovely muave/lavender and the formula is super creamy and easy to apply. I also love that it's a twist up pencil...so no need for a sharpener. I believe this shade is exclusive to Nordstrom. This is a wonderful liquid lipstick formula that isn't drying at all. 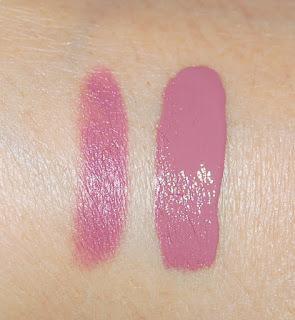 I love the color, it's almost exactly the same mauve/lavender as Nars El Agua. Well those are all my faves throughout October. What were you loving? ?